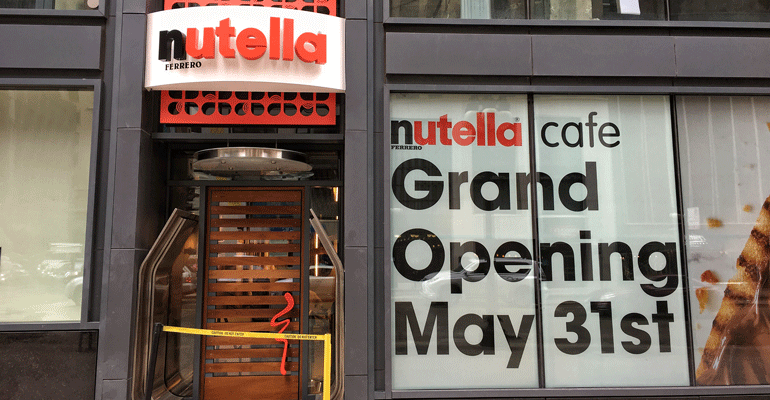 Ferrero USA Inc. will open its first Nutella Café, highlighting its chocolate-hazelnut spread, on May 31, in Chicago. The Parsippany, N.J.-based company, whose products also include Ferrero Rocher chocolates and Tic Tac mints, said the new Nutella Café will offer coffee, lunch items and a number of to-go options. “We wanted to create a world of Nutella for our fans that could truly capture the essence of the brand — not just in the dishes that will be served, but in the full experience from the moment you step into the space." said Noah Szporn, head of marketing for Nutella North America, in a statement. Even the entryway that faces Chicago’s Michigan Avenue features architectural outlines and lighting shaped like the signature, squat Nutella jar and its round lid. The new café is a block from the city’s Millennium Park. Ferrero said the menu will include exclusive items such as grilled baguettes with Nutella, freshly roasted hazelnut and blueberry granola with yogurt and Nutella, and Italian specialties like "panzanella" fruit salad and gelato affogato topped with Nutella. The company said a number of menu items will be available without Nutella, such as panini and salads. "The Nutella Cafe offers something for everybody, and we encourage everyone to come in and try a dish or snack,” Szporn said. 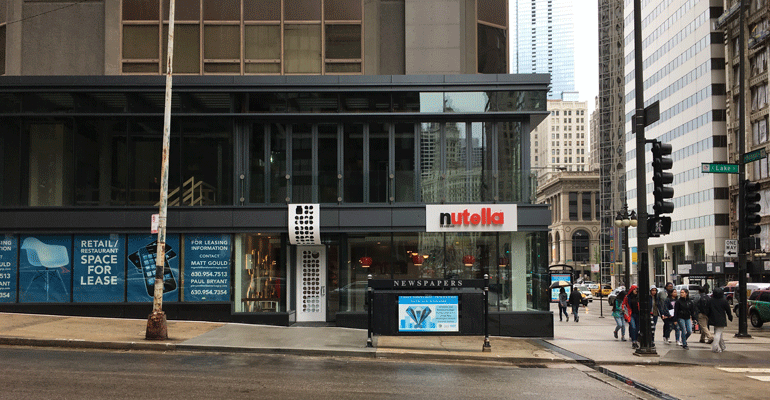 “We hope Nutella enthusiasts, Chicagoans and visitors enjoy the café as much as we enjoyed creating it." The café will officially open on Wednesday, with an event including chef Rocco DiSpirito.